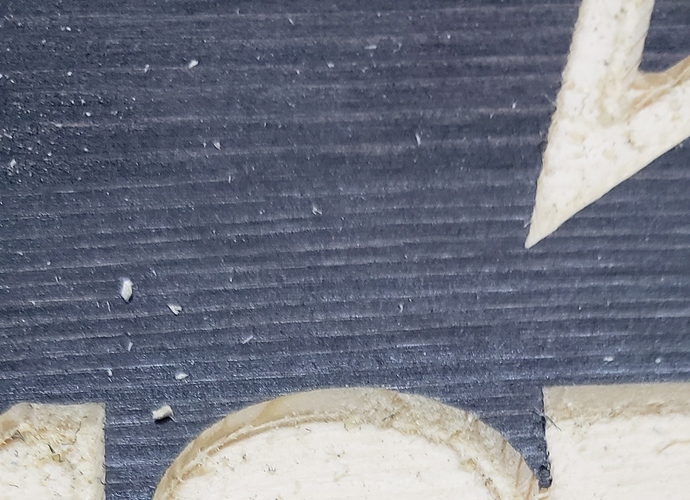 Detailing cut is off when using "use last X and Y"
I saw cutting a sports sign and did a roughing pass with a 1/8 bit then I switched to a 60 degree for the detail cut. I selected “use last X and Y” but the cut was only on the right side of the area and diffinatly off. I will try and get a picture uploaded. Does the machine lock down good when powered up? Did it possibly move during it change? It did move during the change but I thought if using the last X and Y it would start at that position. @PhillipPowell Did you home the machine after the tool change? The Xcarve is an open-loop system, the steppers are commanded to move a certain amount but if they for some reason don’t the controller is unaware. Open-loop = no positional feed back. So if something moved during tool change and no re-calibration (homing switches or a zero block) of machine zero the controller is clueless as to where “Last X/Y” were. Make sure $1=255 and the dip switch for Reduce Idle Current is set to OFF.